Breakthrough Prizes awards $15 Million annually to developers, researchers and individuals who are promoting Innovation In Life Sciences. 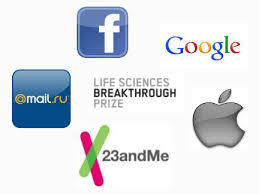 Their committee, a group of technology leaders including Zuckerberg (Facebook), Brin (Google), Wojcicki (23andMe) and Yuri Milner (Russian Entrepreneur), will select 5 recipients each year for individual prizes of $3 Million. The Breakthrough Prize in Life Sciences (BPLS) is founded by Art Levinson, Sergey Brin, Anne Wojcicki, Mark Zuckerberg and Priscilla Chan, and Yuri Milner to recognize excellence in research aimed at curing intractable diseases and extending human life. The prize is administered by the Breakthrough Prize in Life Sciences Foundation, a not-for-profit corporation dedicated to advancing breakthrough research, celebrating scientists and generating excitement about the pursuit of science as a career. These prizes will be awarded for past achievements in the field of life sciences, with the aim of providing the recipients with more freedom and opportunity to pursue even greater future accomplishments. Everyone agreed that motivating young scientists to stay in science, and not necessarily switch to areas that are better monetized, is one of the top priorities. A recent count of the various prizes providing million dollar awards now offered by foundations, companies and wealthy individuals is in the dozens. Each of these is designed to promote a particular idea, technology or cure that is specifically important to the sponsor and might not otherwise receive attention if not for the prize. Another high tech billionaire, Patrick Soon-Shiong, promotes research in technology and medicine through annual prizes and recognition. We look forward to their continued contributions in the Life Sciences field and congratulate them on this achievement.